The salad was created by the Czech and Italian teams and was prepared by the Italian students. 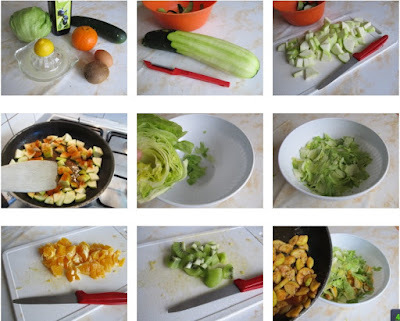 The salad was prepared with the ingredients from our common recipe. However, there were three details that differed. 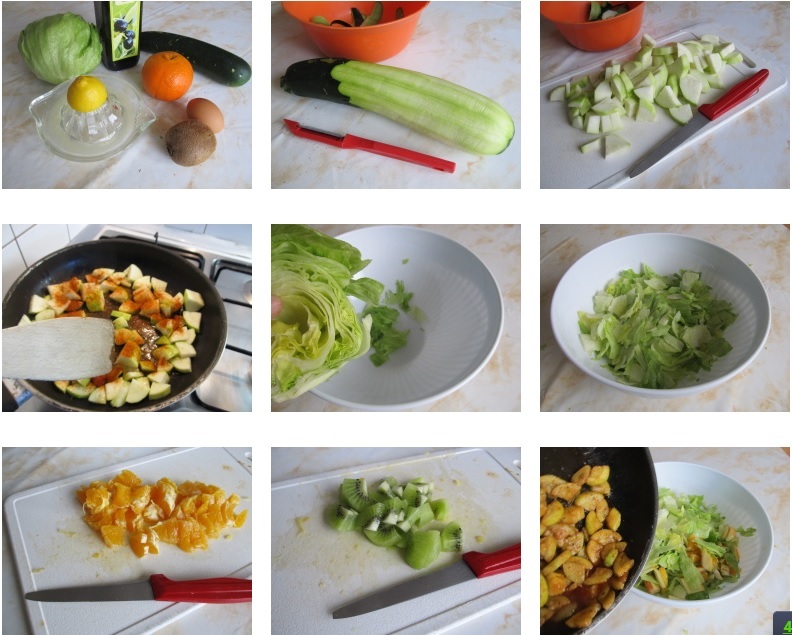 First, we didn´t grill the zucchini but we sauted it on a frying pan with some grill spices. Secondly, we decided to have it really light so we didn´t add an egg. And thirdly, we felt it could be a bit more colourful, so we cut half a bell pepper into tiny cubes and added them to the salad.